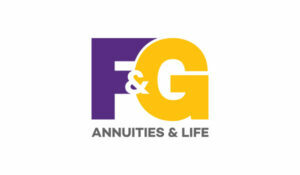 Fidelity & Guaranty Life serves consumers seeking the safety, protection, accumulation and income features of potential life insurance and annuity products. Since the incorporation of Fidelity & Guaranty Life Insurance Company in 1959, we have established a strong reputation for product innovation. For nearly 60 years, Fidelity & Guaranty Life has been a catalyst to help others plan for tomorrow. With approximately 700,000* policyholders counting on the protection features of our life insurance and annuity products, we constantly push ourselves to innovate on their behalf. Everything we do is designed to meet their changing needs. We want consumers to understand their options, have a good experience and feel great about helping protect their families and future retirement. Our headquarters is in Des Moines, Iowa and we offer insurance products through 37,000* independent insurance agents. We primarily offer fixed indexed annuities and fixed indexed life insurance that provide protection with some growth potential for retirement and life’s unexpected events.